Since the Palestinian Authority was established it has systematically indoctrinated young and old to hate Israelis and Jews. Using media, education, and cultural structures that it controls, the PA has actively promoted religious hatred, demonization, conspiracy libels, etc. These are packaged to present Israelis and Jews as endangering Palestinians, Arabs, and all humanity. This ongoing campaign has so successfully instilled hatred that fighting, murder and even suicide terror against Israelis and Jews are seen by the majority of Palestinians as justified self-defense and as Allah’s will. The PA presents Jews as possessing inherently evil traits. Jews are said to be treacherous, corrupt, deceitful and unfaithful by nature. These Jewish “attributes” and traditions are presented as the unchangeable nature of Jews. Forgeries and fiction masquerading as history are used to document and support the libel that Judaism is in essence racist and evil. Jews are said to be planning and executing heinous crimes, including burning Palestinians in ovens, murder, using prisoners for Nazi-like experiments, and more. If unchecked, these crimes constitute a mortal danger, not only to all Muslims and Arabs but to all of humanity. The PA assigns responsibility to the Jews for all the problems in the world: Wars, conflicts and civil wars are all said to be triggered by Jews. Indeed, the oppression suffered by Jews throughout history is presented as the legitimate response of nations seeking revenge for the injury caused them by the Jews living among them. The creation of the State of Israel is said to have been a European plot, in order to be rid of their Jews and save Europe from the evil of Jewish presence in their countries. Sura 7:166 “So when they were insolent about that which they had been forbidden, We said to them, ‘Be apes, despised.’"
Sura 5:60 “Say, ‘Shall I inform you of [what is] worse than that as penalty from Allah? [It is that of] those (i.e., the Jews) whom Allah has cursed and with whom He became angry and made of them apes and pigs and slaves of Taghut. Those are worse in position and further astray from the sound way.’"
“There are two opinions among the Ulama [Islamic scholars] in this regard: The first is that the Jews, whom Allah transformed and turned into pigs, remained in that state until they died, without producing descendants. The other opinion is that the Jews who turned into pigs multiplied and produced descendants, and their line continues to this day. Sheikh Ali Abu Al-Hassan, head of the Fatwa Committee at Al-Azhar [Sunni Islamic university], said that the first view is accurate, because when Allah punishes a group of people he punishes only them. When Allah grew angry with the nation of Moses, He turned them into pigs and apes as an extraordinary punishment... but they died out without leaving descendants." PA religious representatives on numerous occasions have used this tradition to malign Jews, calling them “apes and pigs” in sermons and programs broadcast on Palestinian Authority television. Sheikh Osama Al-Tibi: "These are the Jews who haven’t changed throughout history… These are the Jews who expose their fangs whenever they get the chance. They are causing devastating corruption throughout the land… We must mention… the truth about these Jews, which Allah wrote in his book [the Quran] Among the Jews’ characteristics is that they have offended Allah... They murdered the prophets... Another characteristic is that they are cursed, and they have been denied Allah’s mercy… And among their vile characteristics is that they have breached contracts, conventions, and agreements. 'So for their breaking of the covenant We cursed them' [Quran]. 'And made of them apes and pigs and slaves of Taghut' [Quran]. These are the Jews… Always fighting, always corrupting, always scheming, and always plotting against humanity – not just against the Muslims, but rather against all humanity… Our prophet [Muhammad] informed us [that] at the end of time the Muslims will fight the Jews until the Jews hide behind a stone or a tree… The tyranny of the Jews did not just reach humans, but also the inanimate objects and all creatures: 'Until the Jews hide behind a stone or a tree, and the stone or a tree will say: 'Muslim, servant of Allah, there is a Jew behind me, come and kill him' ... Allah, strike your enemies, the enemies of the religion, count them and kill them one by one, and do not leave even one." A blessing and peace will come to the most honored of mankind, the Prophet who was sent [by Allah], our master Muhammad. Read my will, which is also my last words to you. I’m a young person whose age does not exceed 20. I have many dreams and aspirations. In the past I knew that with the help of Allah my dreams would come true. I loved life [and wanted] to sketch a smile on people’s faces. But what sort of life is this? A life in which our women are murdered and our young people are abused, and they defile our Al-Aqsa Mosque, the place of our beloved [Prophet Muhammad’s] Night Journey, while we are asleep. Isn’t it a disgrace for us to sit idle? You whose weapons are covered with rust, you who only take out your weapons for display – aren’t you ashamed of yourselves? They’ve declared war on Allah. Isn’t Allah deserving of you making efforts for Him? They closed the Al-Aqsa Mosque (refers to Israel closing the Temple Mount for two days and placing metal detectors at its entrances following a terror attack there on July 14, 2017, in which 2 Israelis were murdered; see note below –Ed. ), and your weapon did not respond to the call! All that is in my hands is a sharpened knife, and it answers the call of the Al-Aqsa Mosque. Be ashamed to show your face! Be ashamed, you who arouse strife (i.e., the Hamas-Fatah rift) among us! 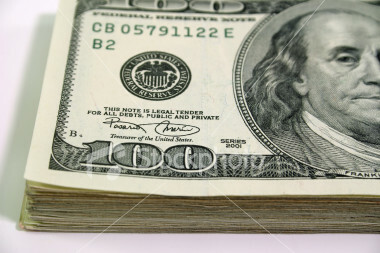 Allah will take revenge on you and you will give an accounting before Allah! It is enough that we are all sons of Palestine and sons of the Al-Aqsa Mosque." 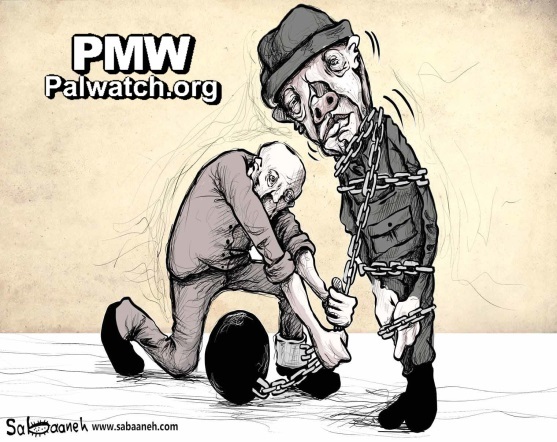 The cartoon shows a Palestinian prisoner using the ball and chain around his leg to tie up what appears to be an Israeli jailer, who is depicted with grotesque facial features resembling a pig. I will not fear your throngs, I will not fear the rifle"
PA TV host:‎ "Bravo! Jerusalem is the eternal capital of Palestine, we will never forget it.‎"
Fatah Revolutionary Council member Muwaffaq Matar recounts how, in 2007, after having written an article on the Gaza revolution, he was criticized by a group of Hamas-affiliated students. Fatah Revolutionary Council member, Muwaffaq Matar: "They [Hamas] said [about me]: 'It seems that Muwaffaq Matar is a descendant of apes and ‎pigs, physically and mentally.' This is racism... Naturally, they use this expression [to refer] to ‎the Jews. This is unfortunate. We also reject these expressions, because they are not part of our ‎values, absolutely not.‎"
Islam-based hate speech on PA TV: Jews are "most evil among creations," "barbaric apes, wretched pigs"
Fatah: "The settler is like a monkey"
“Who is the source of terrorism? You have neither conscience nor religion. And the hearts in it are burning. "What's happening at the Al-Aqsa Mosque (i.e., Temple Mount plaza) is a division of time [between Jews and Muslims]. The Israeli occupation authorities lock the Al-Aqsa Mosque from morning until afternoon. At this time, the assistants of the monkeys and pigs (i.e., Jews) and the herds of settlers (i.e., Israelis) can enter the Al-Aqsa Mosque (i.e., Temple Mount plaza) without anything stopping them." Girls on PA TV: Jews are "barbaric monkeys, wretched pigs"
PA TV reporter: "Let's meet these girls who want to recite a short poem." Girl 1: “I do not fear the rifle because your throngs are in delusion and ignorant herds. Jerusalem is my days and my wildest dreams. You have been condemned to humiliation and hardship. And Jerusalem, you who are filth, is clean and pure. I do not fear barbarity. “And here we have our Palestinian nation, engaged in Ribat, (religious conflict/war defending Islamic land), the strong Jihad fighter, adhering to its religion and faith, challenging the tyranny and oppression of the Zionists, those descendants of monkeys and pigs who thought they could deny us our strength. They forgot that Allah will rise up with us and that their policy is fraud and deceit." All the prisons will be emptied..."
"The spring carnival has retained its [Palestinian] flavor in towns such as Bethlehem, Beit Sahour and Ramallah... with the demonstrations of the Scouts, songs, dances, and popular Palestinian hymns about Christian-Islamic unity and internal Christian unity. These hymns carry meaningful messages, in response to the Israeli prohibition [to enter Jerusalem], as seen in the calls of the youth who lead the procession of light, waving swords and not caring if anyone accuses them of Antisemitism: ... 'Our Lord, Jesus Christ, Christ redeemed us, with his blood he bought us, and today we are joyous while the Jews are sad,' and, 'Jews, Jews! Your holiday is the Holiday of the Apes, while our holiday is the Holiday of the Christ.'" Allah, raise up for Islam a state that will glorify Islam and its people, and will humiliate blasphemy and its people… Allah, we have entrusted you with the throats of the Jews; Allah, count them and kill them one by one, do not leave even one of them upon the land of Palestine."